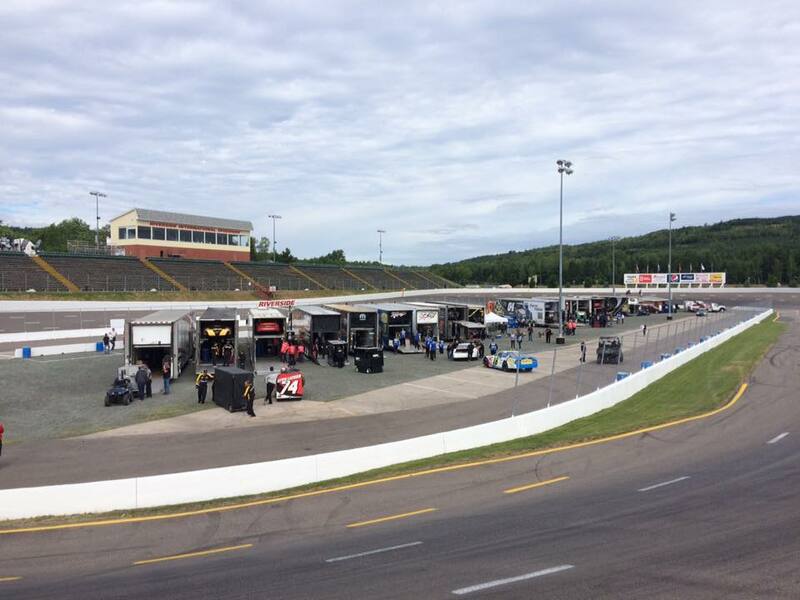 JAMES RIVER, NS (August 14, 2018) – Riverside International Speedway is ready and waiting for its annual NASCAR Pinty’s Series (NPS) invasion this weekend with Saturday’s Bumper to Bumper 300 capping off two days of exciting door-handle to door-handle action for four different touring series. The Bumper to Bumper 300 is one of the most anticipated races on the NPS schedule each year with Riverside being a favourite among competitors and fans alike. And the high banks at the 0.333-mile asphalt oval usually deliver a race to remember. In 2014, it was home-town favorite Donald Chisholm, from Antigonish, winning the race after starting from the pole. In 2015 and 2016, Scott Steckly and Cayden Lapcevich, respectively, took the checkers en route to the series championship. And no-one will forget last year’s race when Alex Labbe grabbed the win with a last lap, last turn bump-and-run pass on Kevin Lacroix. While Labbe has moved on to a full-time NASCAR Xfinity Series ride this year, Lacroix will be looking his second win on the series for 2018 – and redemption for last year’s finish – in his Bumper to Bumper sponsored No. 74. Other notables on the entry list for the only NASCAR Pinty’s Series event east of Quebec include former event winners Ontario’s D.J. Kennington (2010, 2012) and Mark Dilley (2007), Quebec’s Andrew Ranger (2009), and Chisholm. Besides his win in 2014, Chisholm picked up the pole award for the Bumper to Bumper 300 in 2016. He has 21 career NPS starts; Riverside will be his first series start of 2018. Kennington is the only driver to start every race in the history of the series and would love to celebrate a third win at Riverside. Dilley, the only driver to finish in the top-10 at Riverside in every start, holds the record for most top-five finishes (eight) and top-10 (11) finishes in NPS competition at the James River oval. Ranger is looking for his second win at Riverside and his third on the NPS season. Fans will also see the NPS most recent winner, Quebec’s Alex Tagliani – who some call Canadian motorsports royalty with a career that includes IndyCar and the NASCAR Xfinity and Camping World Series – look to add a Riverside win to his impressive resume. Pete Shepherd III makes his return to Riverside after a five-year absence. The third-generation Ontario driver was a finalist in the Roush Racing X Driver Reality Show and finished in the top six out of over 1,500 contestants, leading to signing with Roush for a four-year run in the NASCAR Camping World Truck Series. Speaking of reality shows, Julia Landauer, a contestant on the 2013 Survivor: Caramoan series, makes her NPS debut this Saturday. The New York City native has been racing since she was six years old and finished fourth overall in the NASCAR K&N Pro Series West in 2016 and seventh overall in that series in 2017. A professional motivational speaker, Landauer, was named on the 2017 Forbes magazine “30 Under 30 list of brightest young entrepreneurs, innovators, and game changers in sports”. 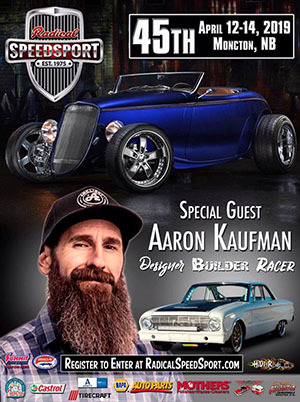 The weekend kicks off Friday, August 17 with the Henry’s AUTOPRO 100 for the Napa Sportsman Series and the Passione Flooring Mini 50 for the MJS Holdings/Prime Lift East Coast Mini Stock Tour. On Saturday, August 18 it’s the NASCAR Pintys’ Series Bumper to Bumper 300 and the Maritime League of Legends Celtic Air Services 50. Entry lists to-date for all four divisions can be found in the online event pages, click the “Entries” tab.